A bright, drizzly Monday morning in Arusha marked my first day as African Initiatives’ Programme Officer. I got off to a flying start (literally!) by travelling straight to Tanzania. I was fortunate enough to spend my first two weeks at African Initiatives meeting our community-based partners and attending launch workshops for the three new institutionally funded projects I will be supporting. Our visit began in Arusha with the Ujaama Community Resource Team (UCRT). 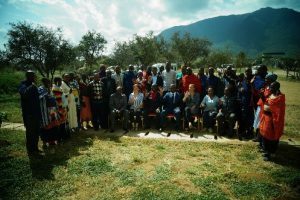 African Initiatives and UCRT recently secured UK Aid Direct funding for a three-year project designed to improve community resilience for pastoralists through land rights and gender equality. Firstly, we spent two days in the UCRT office working through project documentation and planning. I was impressed by the high level of energy and enthusiasm (helped by regular chai, samosas and chapattis). 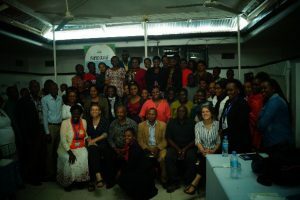 The third day was the project launch workshop which brought key stakeholders together to present project objectives; it gave an opportunity for discussion and input from the community. Engagement from all who attended was really positive and I was impressed by the facilitation from UCRT to ensure that everyone had an opportunity to speak. Senior District Officials attended to commit their support and the reflections they shared demonstrated the impressive reputation UCRT has built across the region over the last 20 years. Attending such an inclusive launch workshop was a brilliant introduction to the land rights project and I left feeling excited to be working with such a knowledgeable and experienced partner. Before leaving Arusha, José and I attended the first Executive Directors’ meeting, organised and chaired by African Initiatives’ Tanzania Country Director, Valerie Msoka. The meeting created a positive space for our partners and Tanzania Limited colleagues to exchange learning, best practice and challenges. It also created an opportunity for feedback and reflection on African Initiatives’ support and how we can further strengthen our partnerships. It was great to see such an open and collaborative attitude from African Initiatives’ partners and there was a strong consensus from the group that this meeting should be set up on a quarterly basis. The second week of our trip was spent in Moshi, a pleasant two hour drive east of Arusha, along a highway lined with fields of sunflowers and maize. 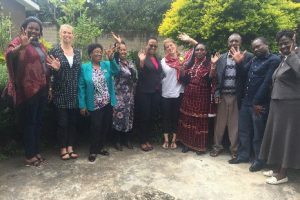 Our first three days were spent with Tanzania Women Research Foundation (TAWREF), with whom African Initiatives recently secured UK Aid Direct funding for a three-year project. This project will improve access to sexual and reproductive health rights for vulnerable women and girls in Hai district. Upon arrival, we received a wonderful reception; TAWREF’s staff came together in song and dance to welcome us. The office was filled with positivity and enthusiasm, and the passion for the work TAWREF does was clear to see. After a productive two days of office-based project planning and discussion, I attended my second launch workshop. This workshop was organised and structured in a similar way to UCRT’s, bringing together key stakeholders to present the project, and receive suggestions and commitments on what their contributions should be. The responses from attendees were enthusiastic, and reflections shared by ward, district and regional level representatives were unanimously supportive. I left TAWREF feeling encouraged and excited to be working on this challenging project, with another round of upbeat singing and dancing to send us on our way! Our final stop in Moshi was with African Initiatives’ newest partner, Tusonge Community Development Organisation, with whom we have recently secured Big Lottery funding for a two-year disability and livelihoods project. The project will establish village community bank schemes (VICOBAs), as well as deliver vocational, business and financial management training to economically empower the most vulnerable. As the project start date was the week following our visit, the main focus was on activity preparation and the completion of planning documents. The meetings I attended gave me a valuable (and impressive!) 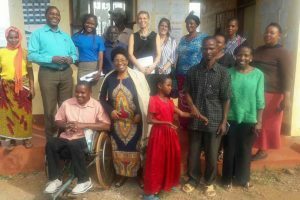 insight into the technical expertise Tusonge has in establishing VICOBAs and their knowledge of disability mainstreaming through this process. After two days, we concluded the trip by visiting the community that will directly benefit from this disability-inclusive project. We met with ward and village leadership, and community members with a range of disabilities. Hearing the reality of the barriers and stigma people living with disabilities face on a day-to-day basis was a humbling end to my trip. The experiences they shared only served to emphasise the urgent need for inclusive and participatory projects of this type, to ensure those living with disabilities are no longer marginalised and instead, are able to live with dignity. I left feeling confident that this new project was capable of meeting these critical needs. Starting out with a two week trip to Tanzania was the best induction to African Initiatives I could have hoped for. Spending time with partners and understanding the context and challenges we face was invaluable, and it has served as a great spring board into my role with African Initiatives. 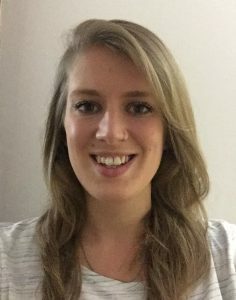 This blog post may seem a little too positive to be true, but it is a genuine and honest reflection of my first two weeks (without exaggerations or omissions!). I am delighted to have the opportunity to work with African Initiatives and our amazing partners, and I look forward to seeing what the coming weeks and months bring!